Much focus has been put on eating meat that’s grass fed, but consuming dairy products from grass fed cows is just as important. There are many dairy farms that raise cows on pastures and produce everything from milk to cheese to butter to ice cream. This is the first in a series reviewing one of my favorite types of sweets that meet sustainability. 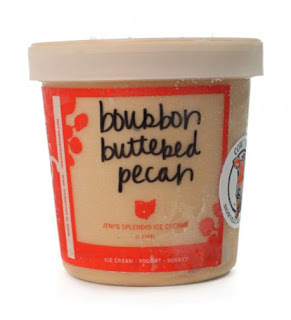 Jeni’s Splendid Ice Creams started in Columbus, OH in 2002. It now has eight shops in Columbus, one in Cleveland, and two in Nashville. Along with making its ice cream from the Snowville Creamery‘s grass grazed cows, it’s also known for offering some of the most unique flavors. I was given a four pints of different flavors as a gift and thought what a better way to start off this overdue series. Beginning clockwise at the left with the photos above, the first flavor is dark chocolate. While I appreciated the richness of this particular flavor, it was my least favorite as it was the most ordinary of the bunch. Next is the bourbon buttered pecan. Hearing bourbon in the name, I feared feeling drunk and on a sugar high at the same time. Not the case. The Maker’s Mark bourbon adds a little extra oomph to it, but the ice cream doesn’t taste like liquor. The pecans are the hero of this flavor. Often nuts are ground up to little pieces in ice cream, but here my tongue could still feel the original texture of the pecans. 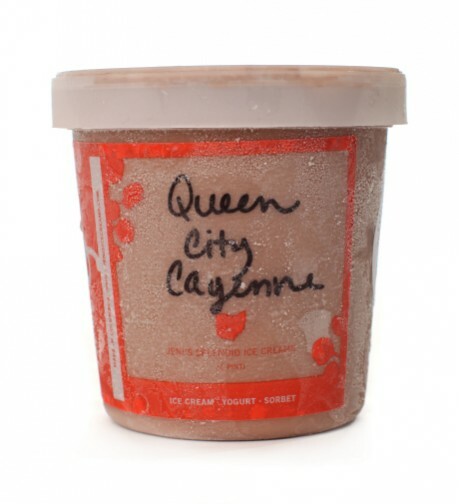 Continuing with bold flavors, we come to the Queen City cayenne, a mix of chocolate and spice. Loyal readers will know that I love spicy foods. But I wasn’t quite sure how I’d feel about spice mixed with my sugar. It turns out the two go together much better than expected. One second, I savored the sweetness. The next second, I was getting a little kick out of it. The roller coaster of the two tastes in this flavor is something I’ve never quite felt before while eating ice cream. Last, comes my favorite ice cream flavor of the four, salty caramel. It’s not as out there as the Queen City cayenne, but this one tastes sweet and savory at the same time. Most caramel flavored ice creams don’t have the same strong taste as pure caramel. 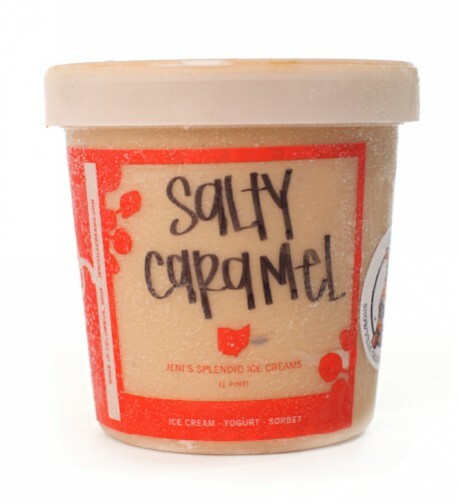 Jeni’s caramel tastes like I’m eating the chewy candy itself. Jeni’s Splendid Ice Creams sets the bar pretty high for ice cream from grass fed dairy. It respects the individual flavors of the ingredients and pays off with its daring pairings. 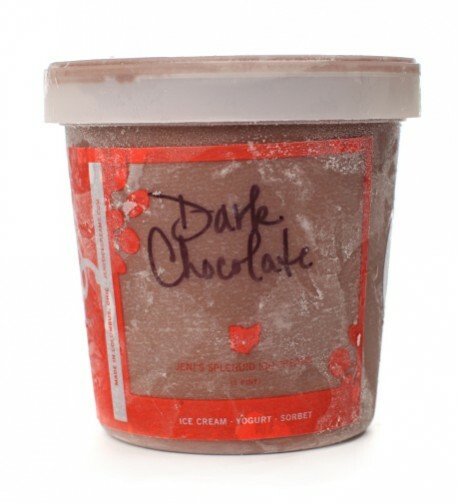 For those of you that don’t live near any of the shops, click here for retail partners across the U.S. that sell Jeni’s Splendid Ice Creams.